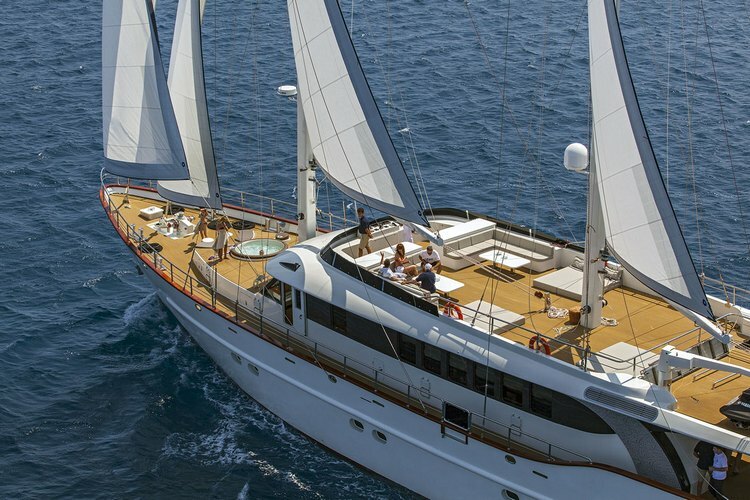 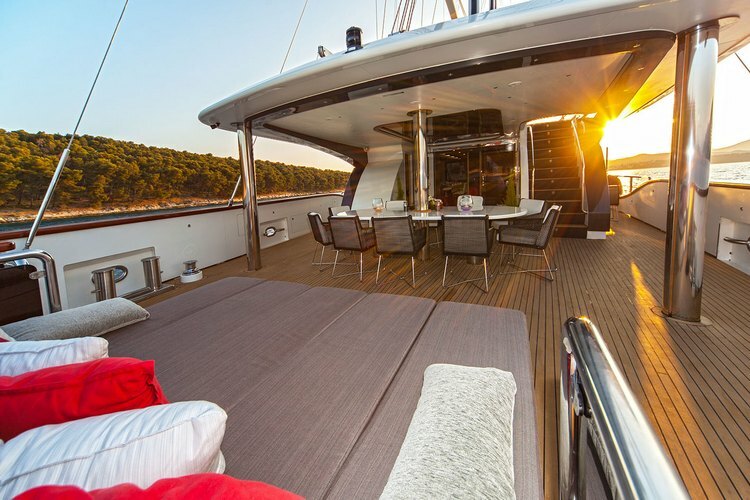 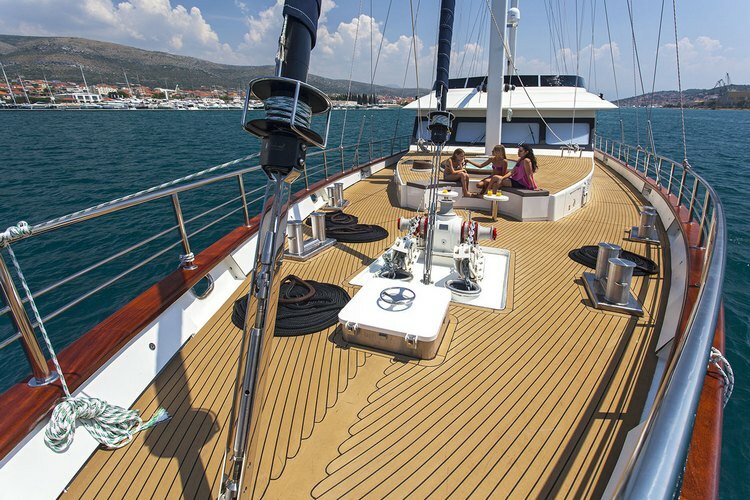 …a gulet (motor yacht) for charter in Croatia. 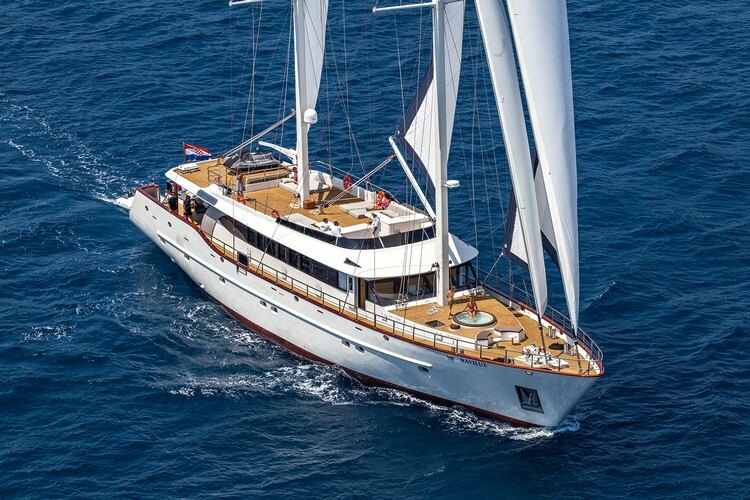 Navilux is 37 meters long sailing yacht, custom built to match the highest standards in guests’ accommodation and cruising. 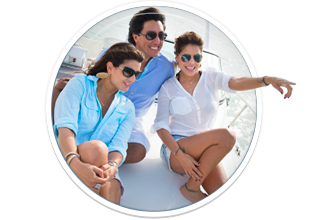 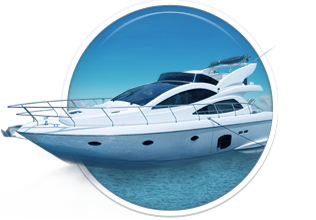 Navilux has a range of facilities such as the most modern jet-ski and speed boat that will brighten guests’ stay on the yacht. 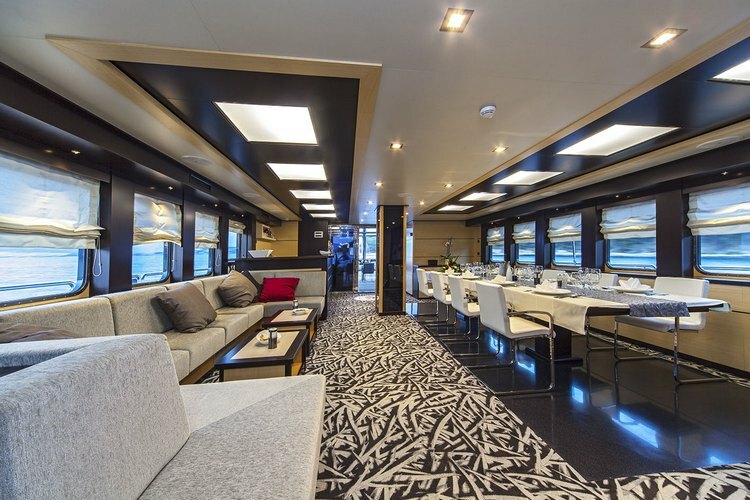 The indoor salon consists of the dining area, yacht bar and living space, all in light colors which makes the interior elegant and charming. 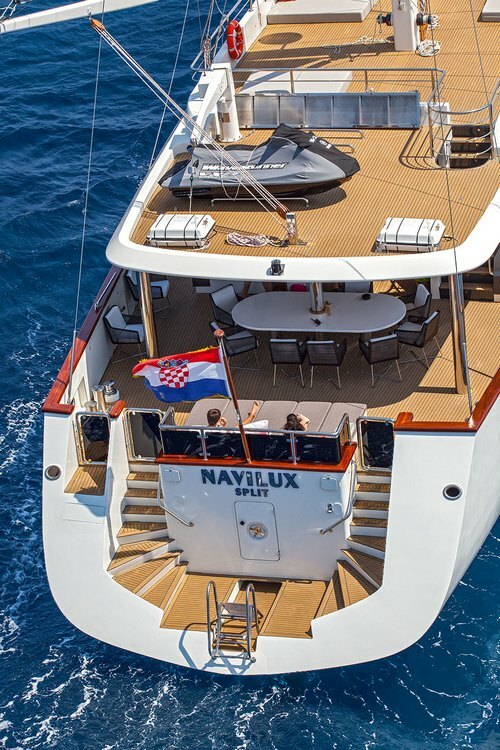 We can proudly say that “Navilux” is the first high-standard luxury yacht on the Croatian market. 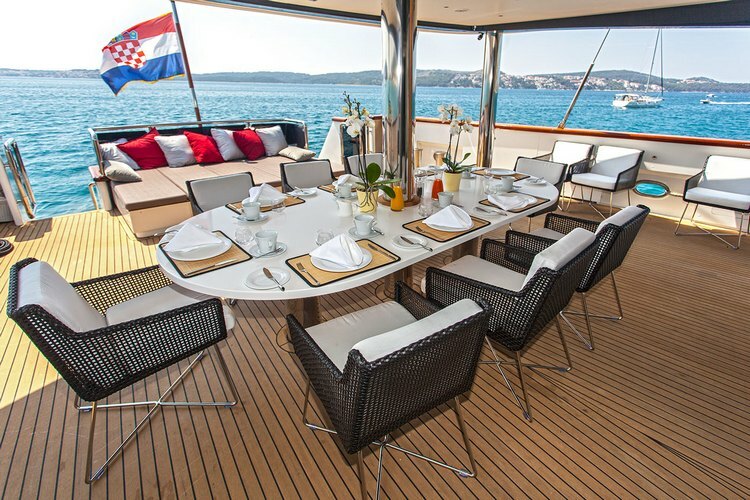 “Navilux” is very beautiful and luxurious yacht built in Croatia. 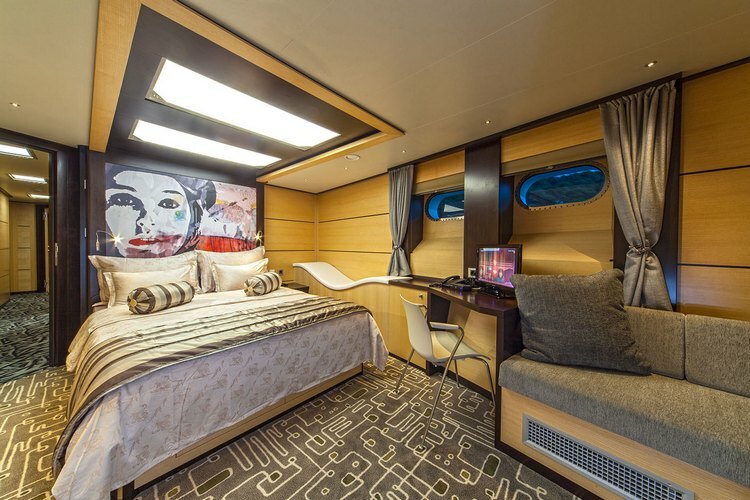 With its 37 meters long and lavish interior will be the pride of families, regions and ultimately the entire country. 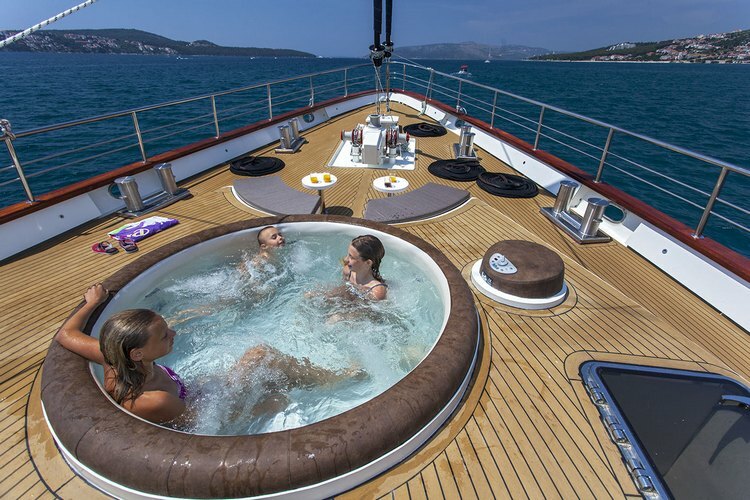 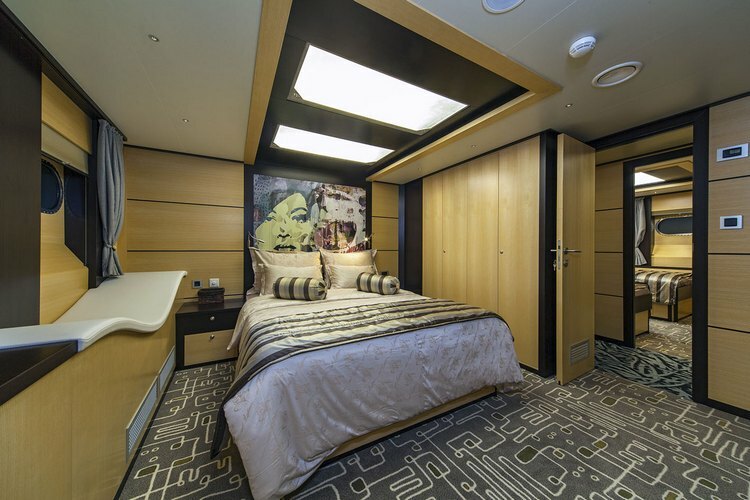 “Navilux” have 6 gorgeous, luxuriously decorated cabins and a large lounge with bar. 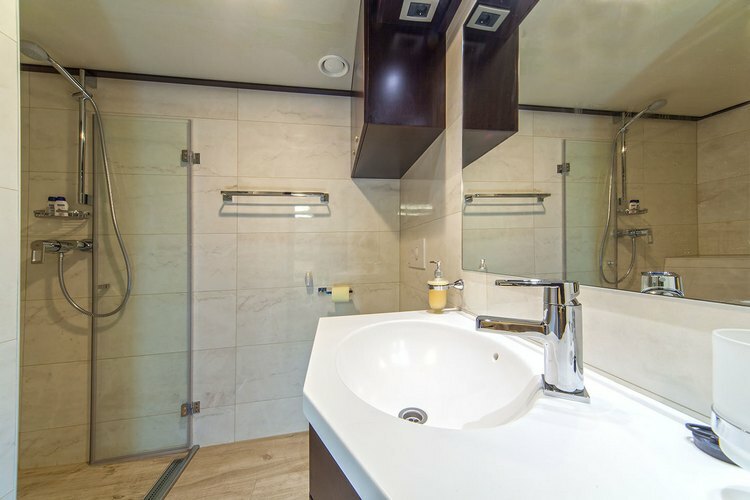 Each room is decorated sccording to the latest trends and we are confident we will provide the pleasure for future clients. 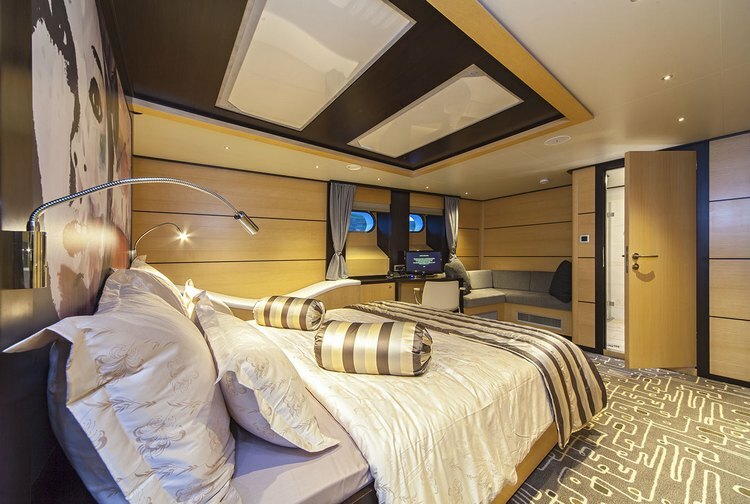 For the interiors are engaged best designers in the field to achieve the luxury and splendor. 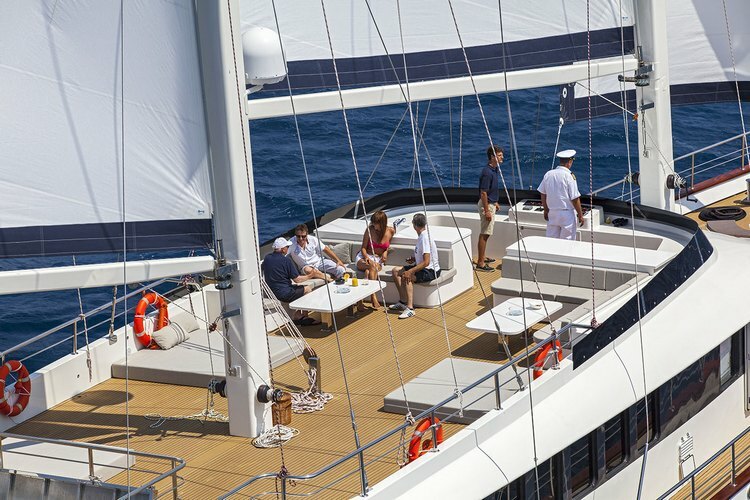 Exterior of the ship is characterized by white color which gives an additional effect to the beautiful luxury yacht. 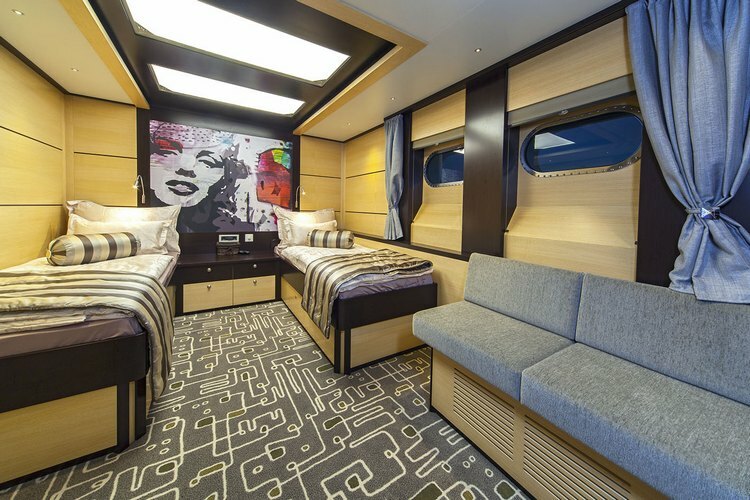 Luxurious and richly furnished interior complements the most modern equipment for navigation. 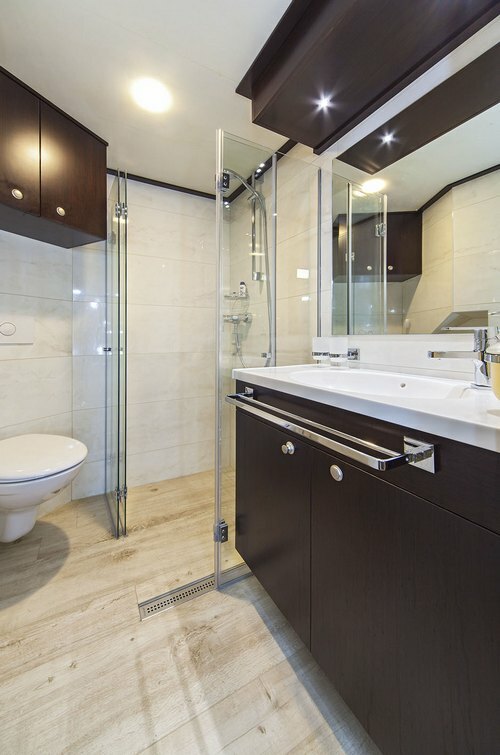 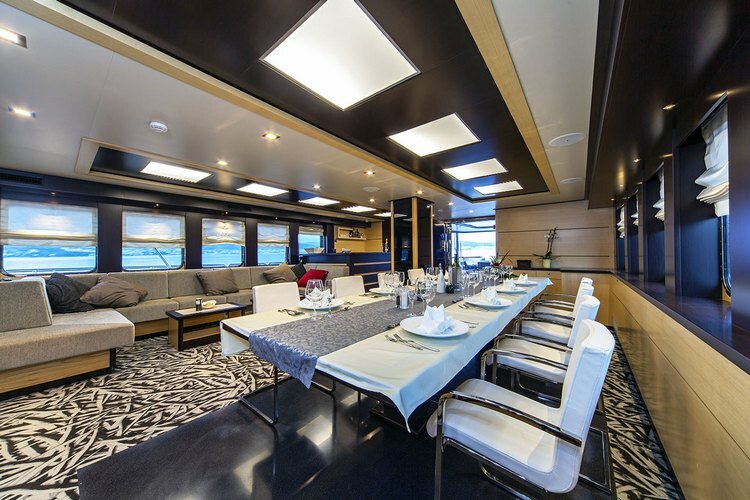 – Separate galley with stainless steel oven, indoor grill, fridge, freezer, dishwasher, ice maker,coil. 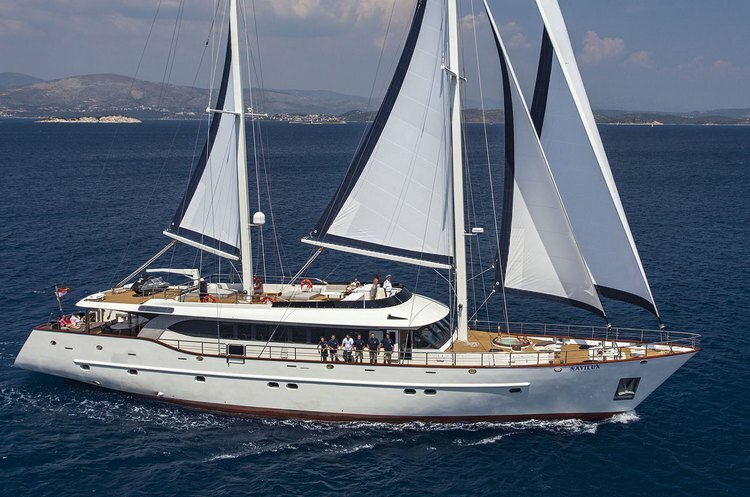 Here you can find basic information about Gulet - MY Navilux. 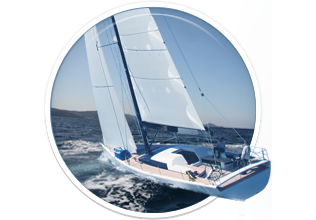 Other specifications, can vary from boat to boat, therefore we recommend to search for particular Gulet - MY Navilux from our database, in the destinations of your preference.